Shares the features and benefits of the PDFM361 but is flush mounted and has two outputs switching lights and HVAC loads and timer adjustments for each channel. 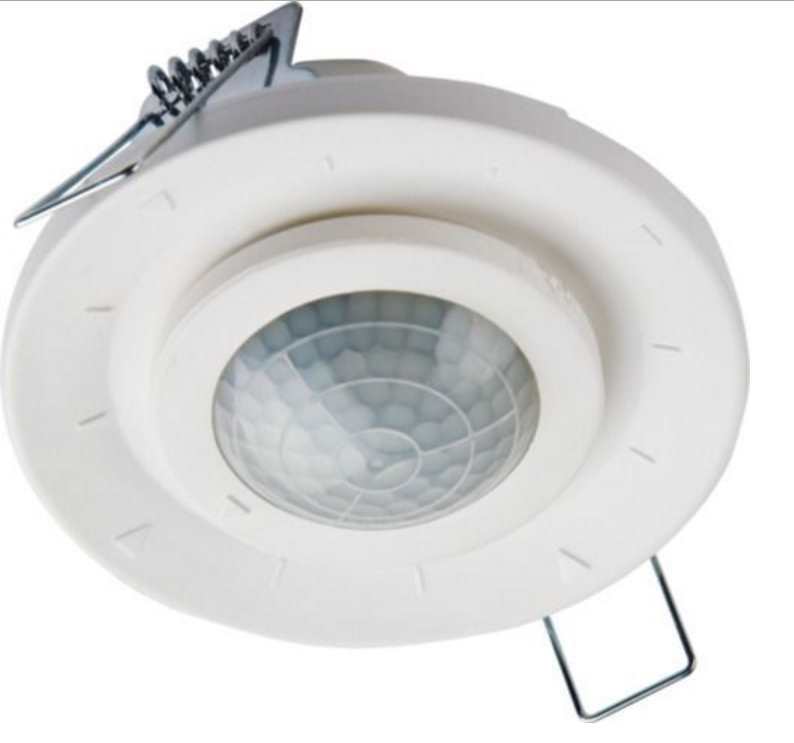 Ideal for energy saving installations in the workplace, corridors, offices, toilets etc., where light control can make all the difference. Single channel surface ceiling mount. Switches lights on when presence is detected and to light levels (LUX) set. 360 circular detection, range up to 7m at 2.5m mounting height. 3 user friendly adjustments for Time, LUX levels and Metre range. Timer adjustment - continuous from 5 sec to 20 minutes (up to 30 or 60 minutes with IR10 remote). Lux adjustment - continuous from 10 to 2000 Lux. Metre adjustment - approx (-) dia 1m to (+) dia 7m at 2.5m height. Total switching: 2000W incandescent/halogen, 750W fluorescent/low energy. Optional infra-red remote control for remote set-up and adjustment using part code IR-10. Also gives extended lamp ON times. LED indication on detection and on optional remote control set-up. Side or bottom cable entry.